The In2hula hula hoop community in Canterbury is glowing and growing. We have a new instructor and 3 new classes starting in North Christchurch and North Canterbury in March. Watch this highlights video from The Super Heart Hoop-Off event last year to see what you can be part of. 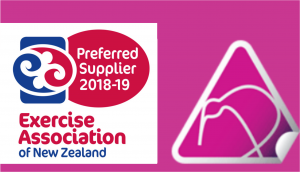 On 24 November at the 2018 FitEx Awards dinner Bernadette Smith had the wonderful surprise honour of being presented with the New Zealand Register of Professionals Award. We set a new national hooping record! On Sunday 28 October 2018, at The Super Heart Hoop-Off event we knocked the former NZ record for the most people hula hooping together in one place for at least 2 minutes out of the (Hagley) Park! Can a man hula hoop his way to better sexual performance? Learn why hula hooping is an effective way to promote men’s sexual health. What is the best exercise to improve brain function? Hula hoop. Or, any form of moderately strenuous exercise that involves focusing on what you are doing in the moment, and working towards goals or engaging with others in a common purpose. Despite having a significant physical health issue Amelia has gone from being able to hoop for 20 seconds to being able to hoop for over 2 minutes continuously in just four weeks after practicing for only 5 minutes a day. If Amelia can do it – so can you! Simple reverse escalator hoop trick suitable for beginner hoopers. Learn how to hula hoop with this fun transition move. Tone your arms and boost your brain with this easy Propeller hoop move. The Propeller hula hoop move tones and strengthens your entire arm including your fingers and wrists.